I'm not kidding, it really IS springtime in New Zealand, South Africa, Patagonia! But more importantly, NOW is the time for you to hustle on down to Denver Botanic Gardens and buy up a treasure trove of bulbs so that in a few months you too can have a glorious springtime in your garden! There is something crystalline, something glorious about spring bulbs. 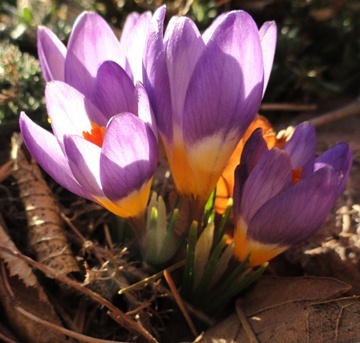 Above you can see one of my favorites, Crocus sieberi, which comes in a myriad forms--many of which you can find Friday and Saturday at our Fall Plant & Bulb Sale at the Gardens--along with tons more (you can see the whole bulb list on our website). 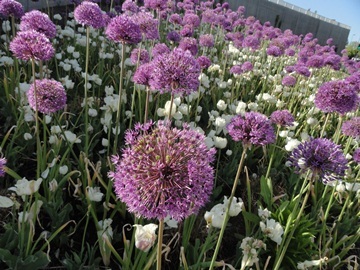 Bulbs are one of the last great bargains: you pay fifty cents for a bulb and it blooms beautifully the next spring. In two years time it is twice as big, and some will even self sow and multiply. Talk about investment! Bulbs beat Wall Street hands down! Where else can you produce carpets of color that cheer the heart in springtime (when you need it after a long winter) for a few dollars? 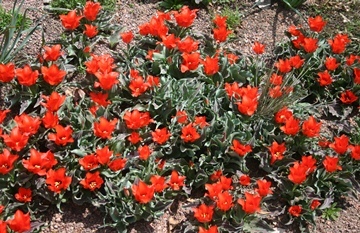 While most bulbs are extremely drought tolerant, many are also very shade tolerant. 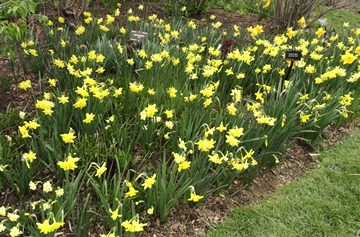 I have grown many daffodils on the north side of my house, or under shrubs and trees where there is dense shade in summer. These are especially good for naturalizing and that yellow color is scrumptious any time of year! Although I have talked bulbs, there are unbelievable selections of all manner of hardy and tender plants being sold that were grown by the propagation department of Denver Botanic Gardens. I can't begin to tell you how impressed I am at the range of plants they grow well (from acquatic plants to desert cacti, grasses to all manner of perennials and annuals). I believe all the potted plants sold at ur Shop in the Gardens have been produced by our staff, and few are available commercially elsewhere: talk about LOCAL? You'd be loco to miss this! Read up on the details on our website, and scurry on down tomorrow or Saturday (free both days): and did I mention Denver Botanic Gardens is drop dead gorgeous right now? AAAAaaaaah....life is sweet! See you tomorrow (and Saturday too! ).